Hey guys we got to the end of P3 in our current FIRST attempt and stalled out. Still have a few NS left for P4. Looking for either a small group of 4-5 OR individual people HSTR ready for P2 and P3. JTR not a requirement. Discord is EmperorNadebot#2845 or hit me up on here. Midnight Collective is looking for ~10 active players to join and help us progress further. We currently have 39 members and are sitting around 55 mil GP, we run HPIT & HAAT & alternate between tier 5 & 6 of the sith raid. We win most of our TW and get around 22 stars in TB. No specified strength or character requirements, we just ask that you participate daily and generate raid tickets. Guild GP: 51+ mil GP and growing! Looking to merge and create a larger family! We are a friendly, casually active group of new and veteran players. We have members from all over the world! Mandatory to have fun, make new friends, and better yourself. If you have any further questions or want an invite, just let me know! Are you a group working hard towards doing Heroic Sith but stuck in a guild that isn't, and doesn't seem interested? Are you asking your guild-mates to coordinate and be more active, but getting no traction? If so, we are looking for a group like you! Force Users Anonymous (FUA) is an independent, active guild that is currently focused on Heroic Sith and is looking for either a merger partner with a similar core or to bring in a group of similar-minded players to help us get there. 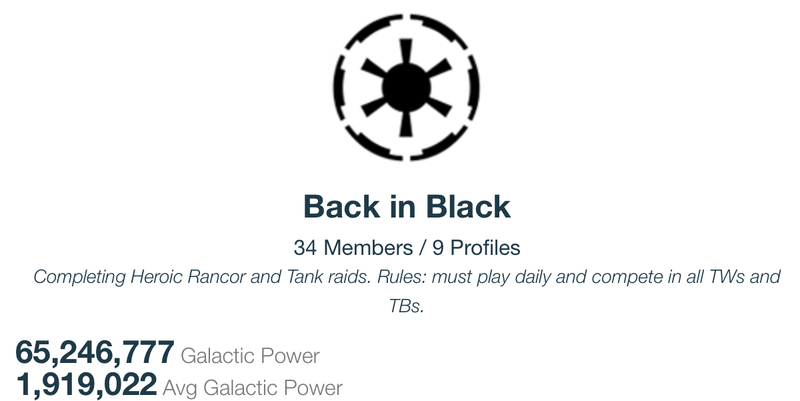 We are down to a core of 34 active members after slowly cutting those who weren't willing to communicate and/or commit to the Heroic Sith goal. 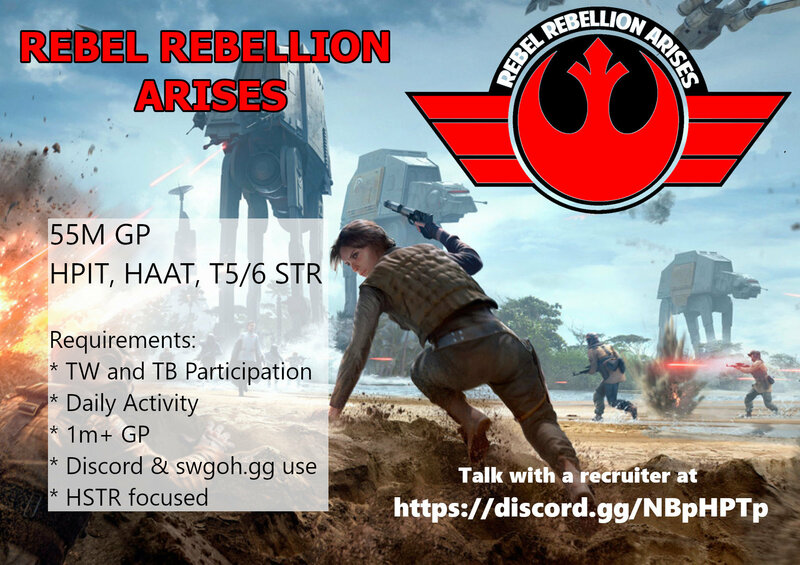 We are looking for folks who have at least 2 Heroic Sith teams (JTR, Revan/Bastila, Chex Mix/Flaming Greedo/etc, NightSisters) either ready or nearly ready for doing good damage. Especially those with strong P3 teams. As a guild we bring a strong commitment to communication, coordination, and active players. We don't allow trolling or harassment of other players. 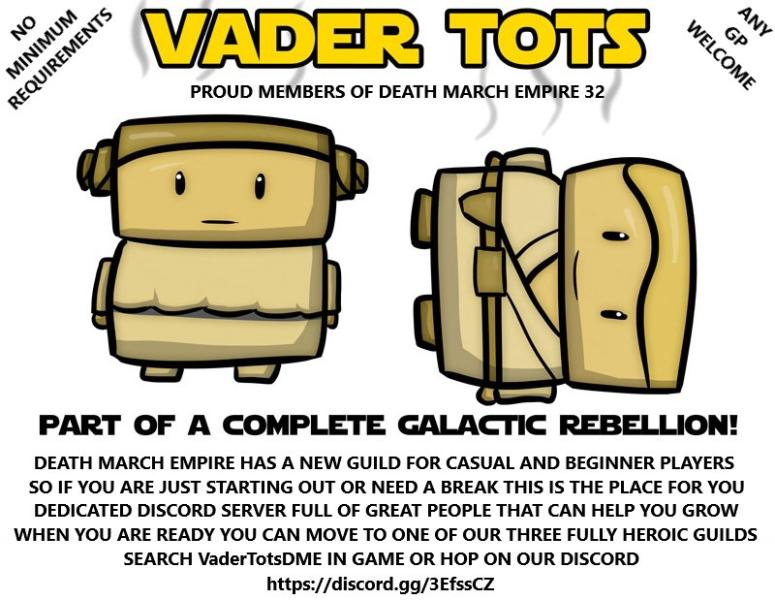 Additionally, because we share the Dark Council Mortis server with 3 other independent guilds that are already farming Heroic Sith, we have access to good advice and a ready supply of willing mercs who can help out when needed. Heroic Rancor - 24-hour join period. Auto-starts at 7pm Pacific. 20 minute damage submission delay if you can solo 1 or more phases. Sith - T6 with no join period. Auto-starts at 5pm Pacific. Occasional Heroic Sith with merc help. We realize that life takes priority over the game, so we ask that anyone who can't play just let us know and we will work around it. We have 12 guilds with a GP of more than 1.8 Billion! Its german based with international players and integrated translation bot. 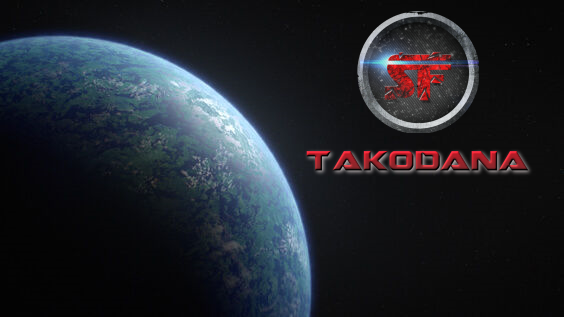 Our newest wing Takodana is searching for a group of players or a small guild up to 25 Players. Officer spots for codetermination are available. You cannot better grow, as in a strong alliance, because we have a lot of content and help on our server with more than 900 members an a lot of highend players. If you're tired of all the false promises, and have had enough of the hype, send me a DM, here, or on Discord. My guild-family (United Without Limits) is searching for a dedicated group of end-game players, to bring into our fold, in order to solidify one of our top guilds, after moving some casual-members to our casual-guild. 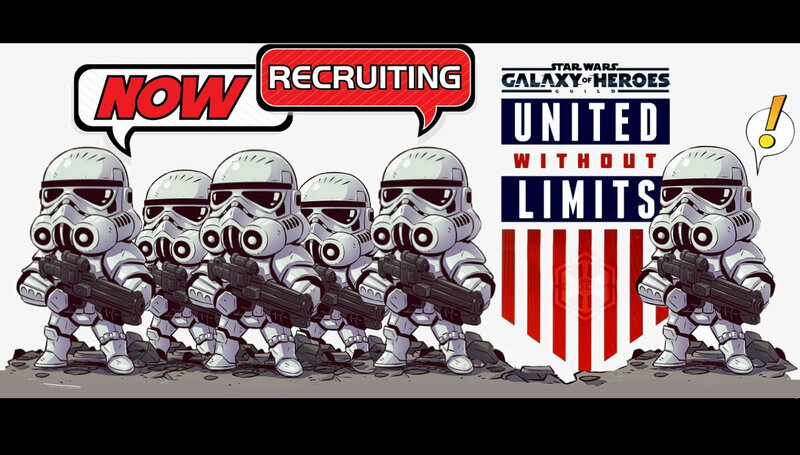 If your core-group of players takes SWGoH seriously, but, still wants to have fun, while being leaders in the community, and is desperate to advance, in end-game content, you owe it to yourself to consider a merger into UWOL. We're looking for a group of around 20 individuals. Your core group of players must have a minimum of 2.5 mGP each (preferably an average of 2.75mGP), must be able to "follow Territory Battles and Wars 'orders', be able to commit to 600 tickets daily, and have a working and recently synced SWGoH.gg-profile, and, use Discord (heavily). This should go without saying, but, as a "hSTR farming guild" all members will need to have the relevant teams fully developed, for this vital raid. Those without these, would not be up for consideration. You worked hard to get as far as you have! Now, it's time to take that next step. Together, we can both be part of something truly great! You, and your hard-working core-group of members, deserve it. we are looking for 10-20 members to join our guild. Currently, we are 50m gp running t5/6 HSTR, we also win most of our TWs and average 20-23 stars in TB. we are mostly US and europe based. we expect daily activity, event participation and players building towards HSTR but understand that RL comes first. if interested contact us at our discord link. Galaxy of Titans 5 is looking for active and growing players. We are a semi-casual guild that knows life comes before the game. However, we are dedicated to pushing heroic STR and progressing through the game. We have a mix of players from all around the world and are looking for more Titans to join us in galactic conquest! We are part of an alliance of 6 guilds, 4 of which are currently farming heroic STR. All 6 guilds are in a single discord so that we can benefit from each others knowledge and experience. At least one Heroes Journey character unlocked (Revan, CLS, or JTR) If you have the requirements ready and just waiting for next pass, that is fine. Discord is mandatory, you don't have to be active in chat, just be able to read and follow orders, however, if you want to chat we are here. 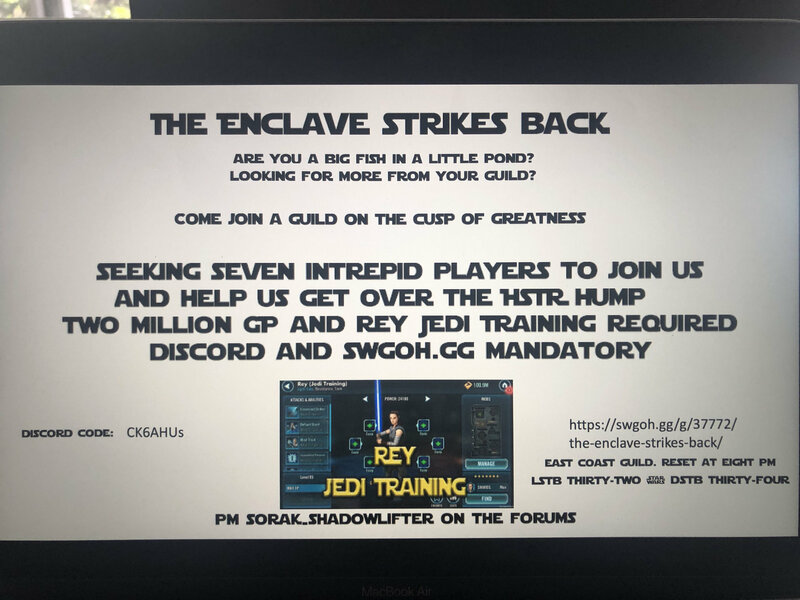 Phantoms guard is looking for 7 players to put the guild into the next level. We are a 97mil gp that can take out teir 6 of the STR in 3 days. We are semi casual and do not use discord or anything like that. We periodicly change our raid times to make sure most get a chance complete it, but we are an American guild so afternoon into night est/pst. If you have any questions please look me up. Looking for 10 members to join a casual but committed guild. Expect almost daily activity. Must contribute to TW,TB, Raids. Currently T6 Sith. Ally Code 734-269-893. Message me. Fun guild that cares! Right now we have 2 spots open...but could easily take on a group of ~5 guys if the situation was right. Looking for strong recruits! We are a friendly, easy going guild but we need to beef up our roster with some stronger players. Must be over 2 million GP and have a Full JTR team ready to go for HSTR. Can clear up to 20 spots if you have a large team that wants to merge. Frankie#5943 on discord if you want to chat or just join if we have space. We will try to keep a spot or two open at all times. GP = almost 28 mil. Looking for a 5 - 25 active members guild for merger. Player Requirements: We don’t have any specific requirements for players to meet but we do need players that are reasonably active and have at least one 7* character to participate in heroic raids. If anyone needs to be inactive for a time, please just let us know. Although our guild name is Our New Guild, this guild has been operating for over a year and a half. We have a few members that can defeat heroic pit on their own but to try and make things fair for all members, we rotate the lead to give lower level members a chance to reap the higher level rewards. We are very close to tackling HAAT and consistently run Sith at tier 5. If you would like to join us, please PM Tio in game at the above listed ally code or come on into our discord at https://discord.gg/E87YV3r. Let’s start getting those Han Solo, Kanobi, and Traya shards together. Hello fellow Honorable Star Wars Galaxy Of Heroes Fans & Players I’m a very successful Guild Leader & Recruiter for awhile now & Lêgiøn Øf Êuropêans is a New Guild I started in LØFÂ. I’m already up to 23/50 at 56 Mill GP. I’m looking to Find Players or Small groups of Euro Players or US Players equal to the Players I have found to start a great European Guild in our Alliance. I would like to get players 2.7 Mill GP or Higher & HSR Ready or working on it hopefully by the time I fill it full it’s completely Heroic as our other Guilds in the Alliance, but will consider active Players with good Arena & Fleet Rank due to that shows me they have interest in growing faster. So here’s to new beginnings M8 hope to see more Players looking If you are interested please comment or send me a private message or find me on Discord. Looking for a group of players to join our alliance so we can backfill moves to our second guild. Hey folks, Dragon Players is looking for 10 members. Level 6 of sith raid. We get 22ish stars in TB. We do have a discord account but it is not required. 3. Level 65 and over 7days with event and raid participation. These no activity limits are assuming you have not communicated with the guild leader. 6. Reading the chat is required. Greetings holotable heroes! We are two friendly guilds looking to recruit 10ish members! 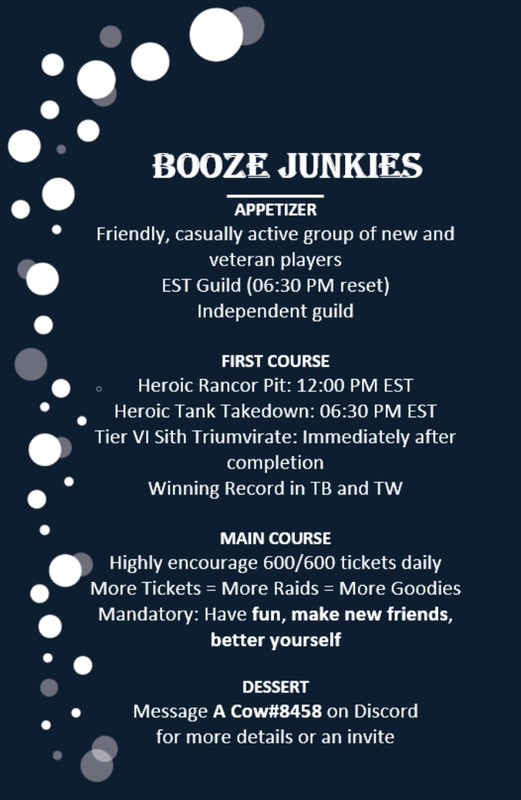 If you are in a fractured guild, or a group of top players in a low GP guild looking to make the jump to HSTR; look no further! Between the two guilds listed here we should have a good fit for players wanting to excel in all areas of the game! 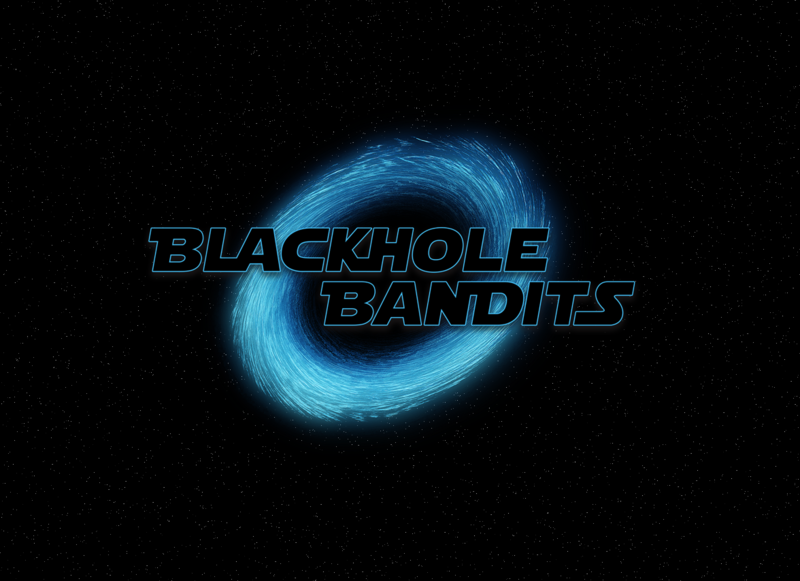 The Pit is a competitive guild for end game players that are looking to succeed in TW and TB. Death by the Dozen is a relaxed requirement guild that is primarily focused on HSTR farming. The two sections below are snippets of each guild with a quick overview of rules for each and a summary of what both guilds can offer you. Pit Crew is an elite guild focused on end game activities. We are fully heroic with Traya on farm and are very organized to provide maximum rewards for our members. We require 3M+ GP minimum with a focus on TB, and meta TW squads. We also expect full participation in all areas of the game and players embracing the simple rules below will be rewarded with a rich community of Star Wars and Galaxy of Heroes enthusiasts! 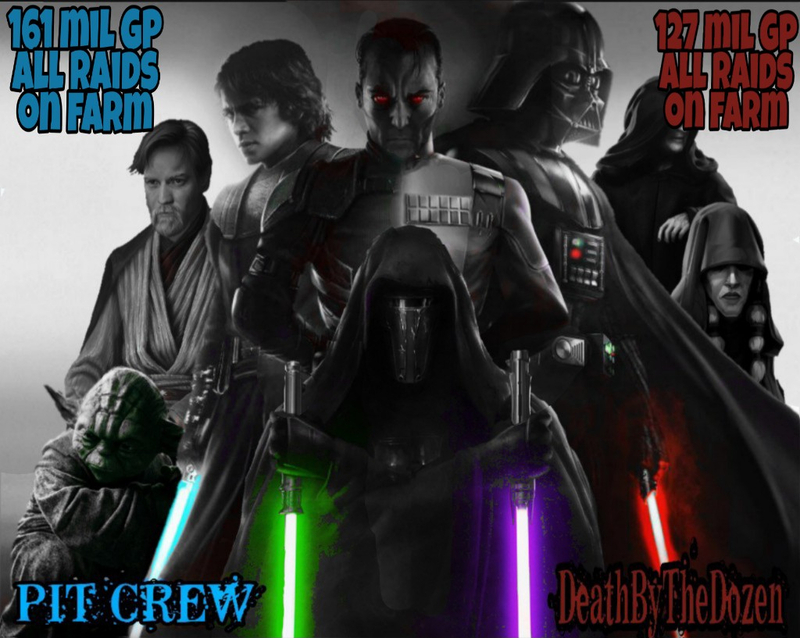 DeathByTheDozen is a friendly guild looking to expand a little bit and gear up so we can complete HSTR without the help of mercs from Pit Crew. 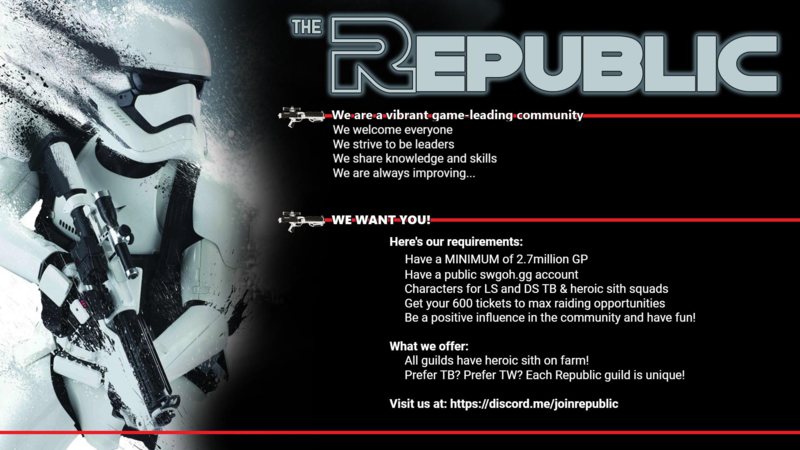 We are looking for players that are around 2.5M GP or higher, are wanting to play TB/TW/HSTR daily and have a solid HSTR squad base. If you have really strong HSTR teams but are below 2.5M GP Don't Worry! We value participation and engagement over pure GP or skill. Though we consider ourselves easygoing, we do have a few things we require. Primarily, we require you to join and use Discord. Secondly, we value event participation. Daily activity in HSTR, TB and TW are required. We are currently looking for a group of up to 20 that we can take in to fill our open spots across our alliance. If you are looking for a place where your guild members can prosper we will provide stability, advancement in the game and a family feeling you won't find elsewhere. Here is what we offer. We have a 100m gp guild (at 35 members). Looking to get up to 20 more. Were looking for engaged and dedicated people. No specific GP requirements. We will be looking at the package. KoR Resilience are currently looking for 8 active players willing to contribute to the guild! We have all Heroic Raids on farm with raid times being in the US East time zone from 7pm-9pm. We are currently 42/45* for LSTB and 43/48* for DSTB. Would you be interesting in joining us? Chairborne Rangers (currently ~68m GP with 37 people - got room for 13 people) want you to join us. We are active guild looking for active players. I am the leader of this guild and I am in EST but we have people from East to West Coast and we rotate the raids' times between EST and PST. We are doing tier 7 for HPIT & HAAT 2 or 3 times a week. We are doing tier 6 for Sith. Player's level should be in the 80s (can accept lower). We're attempting the HSTR again at the end of the month, so players with HSTR teams would be lovely, but not essential. If you're interested please shoot me a message. Cheers! 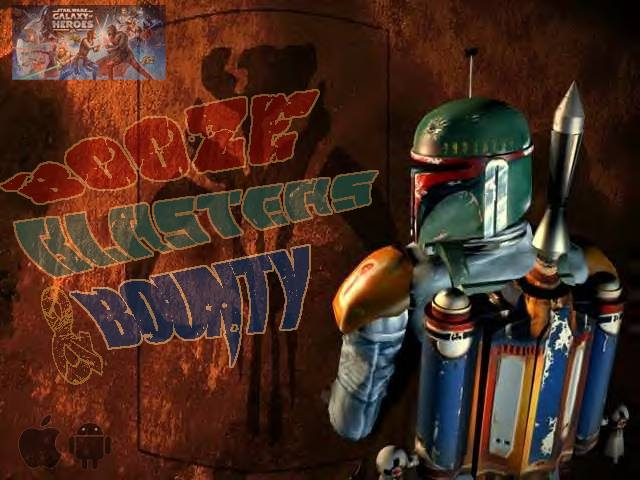 Booze Blasters and Bounty is at 93 million GP and has 7-10 slots to fill. We require 400 daily tickets. Hpit, and Haat are run 2-3 times a week. Tier 6 sith. Last light side TB was 29 stars. Looking for active members with 2 million GP preferred. Message me on discord Biggs Fartlighter#7190 or in game 267-713-465 with and interest or questions. We have a great group of officers now and we’re not looking to merge into another guild. Rather, we’re looking to overhaul some of the players we have now and consider taking in a smaller group of players that want to achieve elite gameplay. If you have a guild that is a mixture of highly competitive players mixed with some more relaxed one, we can discuss bringing you in as 4th guild so as not to abandon your other guildmates, or risk guild disbanding. As you can see, we have a great foundation with successful, HSith clearing guilds. wir suchen aktuell 11 Spieler die unserer Gilde "SonneMondOrden" joinen wollen. Want to talk or ask something? Wrath of mando is looking for active members to run raids and a guild to merge with us. We non stop run raids there are always raids going on top tier! join and help grow our guild and help grow each other!we all have been playing for well over a year! We are experianced and would love to find serious players!